You have to mustard a lot of energy to take a three-week road trip across America eating hot dogs. There’s the Buffalo (N.Y.) Dog, garnished with hot Buffalo sauce, blue cheese and celery salt; the Atlanta (Ga.) Dog, finished with coleslaw, chili and mustard, and the swinging Kansas City Dog with melted Swiss cheese, sauerkraut and yellow mustard. In 1993 brothers George and Manolis Alpogianis embarked on an excellent adventure in search of America’s assorted hot dogs. Things went down so well they reprised with another road trip in 1995. Rather than bringing back souvenir salt and pepper shakers, they introduced 13 regional hot dogs to their America’s Dog hot dog stand on Navy Pier. Can you eat a hot dog with all the fillings while driving a car? “Drive with your knees and two hands,” George answered. Here, I beg to differ, at least when it comes to the 10-inch grilled and beer-marinated Dodger Dog at Chavez Ravine. I’ve eaten them on my pilgrimages to Los Angeles to watch the Cubs, and Dodger Dogs are more appetizing than a Todd Hundley trade. These tube steaks are so good that last year the Dodgers opened baseball’s first hot dog expansion franchise with a Dodger Dog quick serve restaurant at Universal CityWalk in Los Angeles. On Labor Day weekend in 1995 the Alpoganis brothers opened Carnelli’s Deli, the first restaurant in the Navy Pier food court. America’s Dog opened in March 1996. During the summer they operate an America’s Dog at Buckingham Fountain. Next week a third America’s Dog debuts at the Grand Prairie Mall in Peoria. The Chicago Dog (mustard, green relish, onion, hot sport peppers, tomato, pickle and celery salt on poppy seed buns; NO KETCHUP) is the most popular choice on the menu. The Houston Dog (loaded with chili) ranks second. America’s Dogs hot dogs cost $2.49 and $3.19 for a jumbo (twice the size of a regular dog). The restaurant also serves sandwiches, cheeseburgers, Buffalo popcorn chicken, fries and onion rings. The hot dog stand is open from 10 a.m. to 10 p.m. Sunday through Thursday and until midnight on Friday and Saturday. The Alpoganis family was reared in the shadows of Wrigley Field, where one of baseball’s biggest hot dogs patrols right field. Their grandfather George was a Greek immigrant who found railroad work in Mason City, Iowa, before coming to Chicago in the late 1920s to work in North Side restaurants. His son Gus ran the Tavern Inn at Clark and Newport during the 1930s. Gus, 71, is patriarch of the Alpoganis Group. 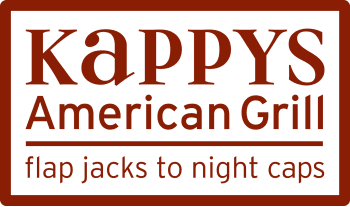 Besides America’s Dog and Carnelli’s Deli, the family’s Alpoganis Group owns and operates Kappy’s Restaurant & Pancake House in Morton Grove and Arlington Heights and the Nino Panino Sandwich Shop in Union Station. The Alpoganis brothers can’t help themselves. America’s hot dogs have become a driving force in their lives.